China’s leader retraced the steps of liberaliser Deng Xiaoping this week. Yet far from announcing reforms to help the region’s private exporters, he barely spoke as he opened a $15 bln bridge. In other comments, he endorsed self-reliance over trade. Better to have said nothing. 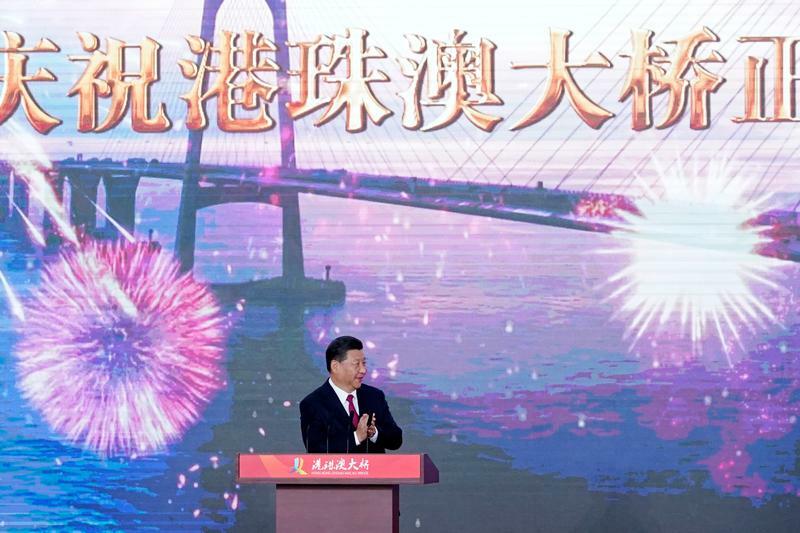 China's president Xi Jinping presided over the inauguration of the world's longest sea-crossing bridge and tunnel, connecting Hong Kong, Macau and Zhuhai, a city in Guangdong province, on Oct. 23. State media reported Xi said China must become "self-reliant" during a tour of a manufacturing hub in Zhuhai.